Hello and happy new year!! Here we go into 2015 and what an exciting year this is going to be! I hope you all had an amazing Christmas and New Year filled with love, laughs and fabulous hair! Once again I want to thank you all from me and the Lucinda Ellery team for your kindness and generosity over the festive period. The cards, gifts and kind words always overwhelm us all throughout the year but even more so at Christmas. Our tree was bulging with gifts from all of our clients which were distributed to all of our team in a raffle which we do every year. We also had a little fun of our own at Christmas with our Christmas jumper days! The team as always participated and I am sure you will agree if you saw them, they looked amazing in their festive outfits especially Luci and Maddy from our Bristol team rocking their sparkly head bands! I am writing this letter as I sit in our LA studio, the way the American team has flourished really warms my heart. The team is stronger than ever and we are in the process of training a new studio manager which will mean my darling Micky can return to the UK and fly back and forth to LA and soon to be the NYC studios and the Americas will be truly underway and I will be a very happy bee! I will set about prolonging my life through relaxing a wee bit and having my family and extended family come visit me on trips to my house, boat, cave (you never know), in the South of France..... a long time dream of mine. The LA team went to Disney World for their Christmas party which looked amazing, they will tell you a little more about that later. All UK locations are buzzing as usual with new faces, new roles and new clients. London has had a restructure of the management team. Obviously our long time studio manager Ewa has gone on maternity leave, (and I can announce, she has given birth to a beautiful baby girl Olivia) and subsequently Marina and Dax have reorganised the studio team to ensure all clients have the support that they need throughout their appointment. I am sure you will join me in congratulating Chantelle and Claudia in their new London positions as technical support. They will be on hand at all times to ensure your appointment runs as smooth as possible and as always your feedback is more than welcome on this new change. Coupled with this our Bristol team is just going from strength to strength; Technical lead Marika Falkowska has relocated to Bristol and has assumed the position of Studio Manager and we couldn’t be more delighted. With over 5 years experience working with Lucinda Ellery, Marika is well and truly versed with our standards and ethics and we have full confidence she is going to be an exceptional manager. Marika will find support in Luci Powell who, if you have been to the Bristol studio, you will know, has been promoted to studio supervisor and will assist Marika in the smooth running and the building of what will continue to be a strong team. I will also be visiting the Bristol studio a lot more this year with frequent trips to see both our lovely team and our fabulous Bristol clients. 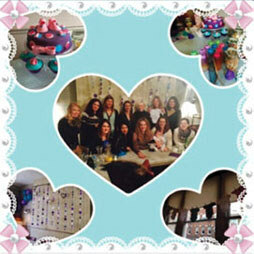 Edinburgh clients will be aware of the exciting news that our Edinburgh studio manager Robyn is expecting a baby girl! We are all super excited here at Lucinda Ellery and couldn’t think of a better bit of news to share with you all. Robyn will be keeping her hand in at the Edinburgh studio, popping in now and again, as well as continuing to support the Edinburgh team. During her maternity we have the amazing Emma Patrick who will be taking the reins in conjunction with Robyn to ensure the team and clients are supported and delivered with the same exceptional service. We are delighted that Robyn will still have a presence in the studio and will be back in the team full time in no time at all. Later in this newsletter you will hear from a truly inspirational lady Karen Hayns. Karen has been a TTM client of ours for 11 years and has been pull free for the last 4! She is an incredible lady who is insightful, experienced and now also coaches those struggling with their TTM. I have personally asked Karen to start writing a column for us in subsequent newsletters as I feel this will empower and encourage us all to understand that you can live, thrive and survive with TTM. I do hope you enjoy these columns and take from them all you can, positivity, change and strength. Talking of TTM I would just like to remind all clients that our annual TTM event in London will take place in May 2015, for those of you who have attended in the past you will agree that this event is really one of a kind. I invite all of my TTM ladies to attend either alone or with a female friend/relative and we share stories, make connections and meet new friends. The evening is always rounded up with guest speakers, words of thanks and a great raffle. The past TTM events have been such a success that I am positive the 2015 event will be the best yet! Please do register your interest for this event in London by emailing erin@lucindaellery.com and you will be put on the invitee list, date of event will be sent out to all TTM clients by the end of February. Other than all of this it has been a pretty busy few months for me personally, as usual being in between the UK and USA studios, but also in terms of the events I have been fortunate enough to support. My dearest friend and amazing woman Katie Piper hosted a charity dinner in December called ‘My Beautiful Ball’ in conjunction with charity patron Simon Cowell. It was an amazing evening with some inspirational stories and all money raised on the evening has gone towards the Katie Piper Foundation’s endless work of improving outcomes for those who suffer burns and for the subsequent rehabilitation of their lives. On the night we raised £250k, an awesome achievement. Whilst on the subject of charity, I want to mention the fabulous work of our long term team member Elaine Byrne. 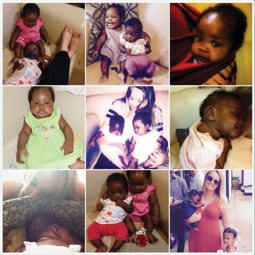 Elaine is currently in Africa overseeing the final elements of the orphanage she has helped build. Not only have the first 2 orphaned twins just moved in but Elaine has been painting, building, teaching and giving love, she is an inspiration to us all. Congratulations Elaine, your hard efforts and work has certainly paid off and what is life if it doesn’t include helping others and you have certainly achieved that. Debbie and I attended a fundraiser for The National Youth Theatre to help support struggling students. 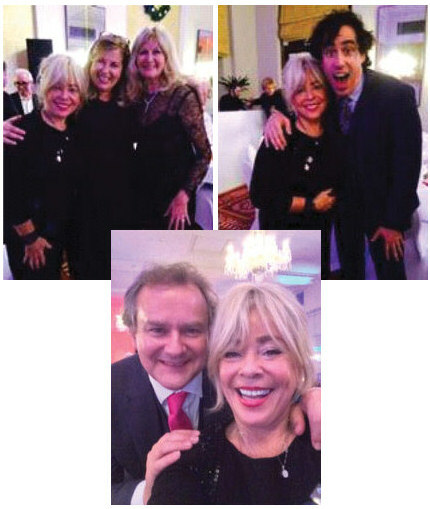 'Strictly Come Dancing' was a wonderful event and raised many thousands and of course I got to cuddle Hugh Bonneville (Robert Crawley- Downtown Abbey) swoon swoon......... and the best news of all is that Debbie Moore OBE has agreed to guest speak at our very own TTM event in May 2015. I will be in all of our locations more this year and I am looking forward to seeing you all! Thank you from the bottom of my heart for your continued patronage, support, love and feedback and I am positive 2015 will be an amazing year to come for us all. I am emailing you after our chat on Friday about how to kick start my anti-pulling campaign! I am a little late with emailing you and I haven't quite finished my forty things yet but I am writing them in my journal now to send you most likely tomorrow. I want to start off by saying THANK YOU. Honestly, since out chat I have not pulled once. My hand has gone up to my head out of habit but now I have self belief I don't just mindlessly pull but my conscious mind goes no, you don't need to do that, what will you gain? And I don't even feel the tension beneath the root. It's not a struggle to take my hand away, I know in body and mind that that is the right thing to do. You were right; the breathing has changed my life already. On Saturday I had a particularly stressful day at work and I kept up with the power breaths and it was like a reset button every time I did it. Everything seemed clearer and the anxiety just floated away. I think on that day I did it over 15 times and felt so good and relaxed and lo and behold no pulling! Talking to you and to somebody who really understands has given me the faith in myself that I can do it. That by being the way I am isn't bad, I just have to learn how to change my thinking and replace negative behaviours with positive ones. My only regret is that I haven't been to see you sooner! I will scan in my journal and my 40 things that have made a difference since the Intralace soon. I felt that something so personal and emotional had to be handwritten, didn't feel right to type it. 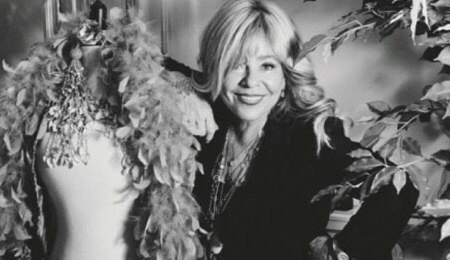 I'm Karen and I've been a TTM client at the London salon for 11 years. Happily I've been pull free for the last 4 years having pulled in secret for more than 30 years so my journey at Lucinda's has been an amazing and life changing one. I'm also a mum of two boys (10 and 8) and after years working in the city, I became a business and life coach and so now spend my time talking to people from all walks of life about their hopes, fears and dreams or anything in their lives that needs attention and I just love what I do. To kick off the year, Lucinda has asked me to write a column in her newsletter where I can share my experience, give hints, tips and practical ways to help you with your hair or an aspect of your life that needs some focus, so no better time to begin than New Year! I love it because it's a time when many of us reflect on the year that’s passed and get fired up thinking about our hopes for the year ahead. That said, I'm not a big lover of new year's resolutions because when things don't work out it can make us feel disappointed and despondent, so for 2015, I'd like to introduce you to just two things that I know can make an ongoing positive difference to your life, one is reflection and the other is awareness, both in yourself and awareness of those around you. 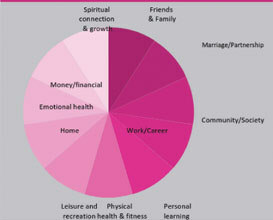 Why don't you put a little time aside in the next week over a cuppa and begin your 2015 by reflecting on The Wheel of Life diagram below? It’s a great way to practice your reflective ability and increase your self awareness. Good luck with it and I wish you all a very happy, reflective 2015 indeed! Catch up with you next time. Oh and just one final reflection….. The wheel represents important areas of your life. What is going on in each of these areas and how you feel about what is going on can have a great influence on your mental and emotional health, on your sense of identity and purpose, and on your beliefs, values and priorities. The balance of investment in and satisfaction with each of these areas has important implications for us. Which areas do you typically invest most in? Why? What have been the consequences? Which areas do you typically invest least? Why? What have been the consequences? Which areas bring you the strongest sense of fulfillment, achievement and/or happiness? Why? What have been the consequences? Which areas bring you the strongest sense of uncertainty, dissatisfaction and/or failure? Why? What have been the consequences? Are there areas you find particularly easy to reflect on in this way? Are there areas where such reflection seems particularly difficult, or even pointless? What do these thoughts tell you about yourself? Reflect on for each area in turn, what have been your greatest achievements? What are you proud of in relation to that area of your life and why? Reflect on for each area in turn in connection with your current goals. Do you have any goals? What do you most want to change/develop in relation to that area of your life and why? LORRAINE IT IS SO GOOD TO HAVE YOU BACK AS PART OF THE LE TEAM, WHAT IS YOUR FAVOURITE PART OF WORKING HERE? The team and the clients. What we do for our clients is amazing. We make a huge difference to their lives and give them confidence again. When I leave at the end of the day I feel fulfilled. 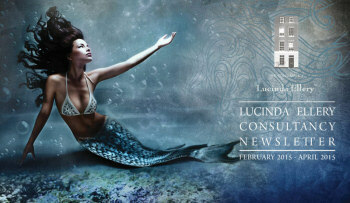 THE THEME OF OUR NEWSLETTER IS LUCINDA’S FAVOURITE THING, MERMAIDS! THE HAIR OF MERMAIDS BEING A GREAT LOVE OF HERS. DO YOU HAVE ANY TIPS OF HOW WE CAN ACHIEVE THIS LOOK OURSELVES? Take a curling wand, take medium sections, wrap the sections around in different directions (the more tousled the better) at the front of the hair create a nice flick using the wand or irons. 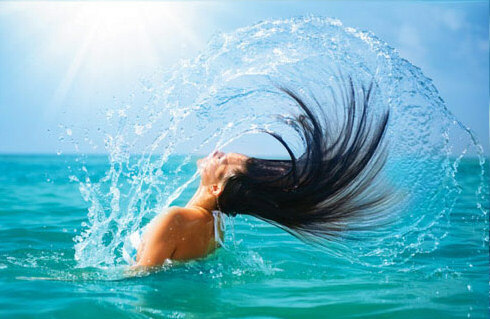 Remember always use Nectar Thermique to protect your hair from the heat. WHAT IS YOUR FAVOURITE STYLING TOOL ON THE MARKET AND WHY? For our clients the babyliss big hair styler (heated styling brush) takes out the stress of blow-drying it yourself. But also the wand is great for achieving curled or tousled looks. Returning to Lucinda Ellery and also the photo shoot which we did for our new website, which was lots of fun and gave us a chance to create some fantastic looks. Meeting more new clients whom we can make a difference to their lives and our company continuing to grow. LUCINDA ELLERY GOES TO DISNEYLAND! This year’s holiday party was celebrated at "The Happiest Place on Earth". Our close knit staff of 6 was led by Lucinda's granddaughter Saurin as the group leader! The team shared such a magical day of bonding, fun rides, and endless laughs. Micky said that her favorite part of the entire experience was seeing everyone so excited. We all felt like kids again celebrating the holiday in the warm December sun! 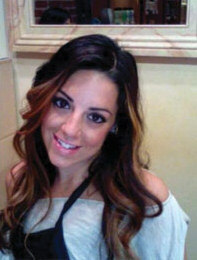 Lucinda Ellery Beverly Hills is excited to introduce our new salon manager, Mimi Miller. 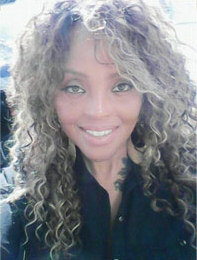 Detroit native, Mimi has been living her obsession of doing hair for over 20 years now which includes a passion for hair enhancement. She is also a self proclaimed color blending queen who loves using her advanced color techniques to achieve excellent results. In her personal life, this surfing socialite is a lover of all things beach, good food, and her favorite football teams. Please say hi to Mimi next time you stop in. 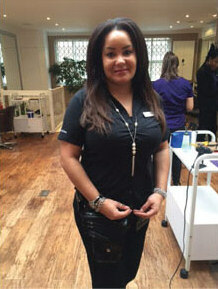 We would all like to congratulate Nicole for getting promoted from lead stylist to assistant manager. Nicole is a color expert who has graced us with her presence for over one year now. Nicole’s warm personality as well as attention to detail are the perfect combination needed to assist Micky and Mimi. Our clients agree too!